What would V/T stand for? V/V makes sense. Volume by volume. Thats an actual measurement. I'm also reading it to say 40% v/v meaning 40% alcohol by volume. I really understand, that % V/V means volume per volume and that this is what I would expect to read on that label to describe percentage concentration. See funny thing is, at this distance, on a widescreen monitor, about just under a metre away, I see Y/Y - but then that could be an odd font or pixelation! Hello all, newbie here. Im on the facebook page also. I purchased one of the poorly done bottles on ebay recently and it has Y/T on this part of the label. 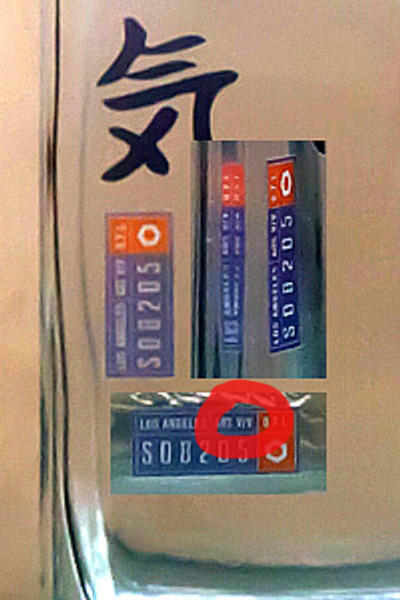 Funnily enough from these pics I can see it as both T/T and Y/T but am i correct in assuming the label in question is from the 516 bottle? Could it be possible that K's spirit bottle label differs from this one also? Best regards folks, Ross. What I can tell you is that this blue/red design on both the 516 or Spirit bottle is basically copied from the 07 bottle. 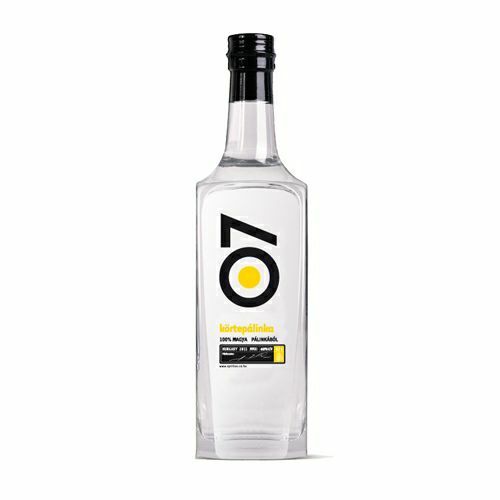 The 07 bottle - which is "Spiritus Kortepalinka" (A Hungarian brandy), uses exactly the same design, but it's a real drink. In that label, which uses the same design, it reports the country of origin and a 'V/V' percentage, then the amount in the bottle. All that was changed for the Spirit(1.7 23) bottle was the origin (Los Angeles) and instead of the signature of the master brewer, a US number plate.